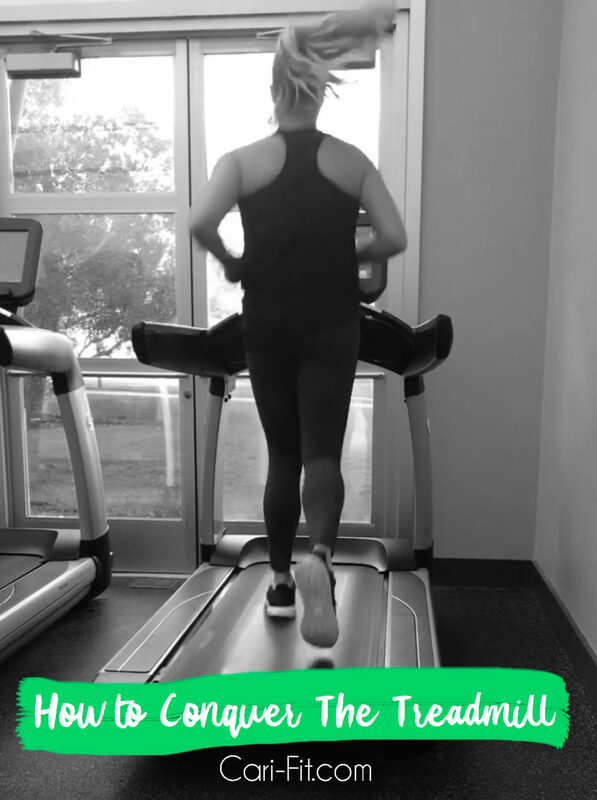 During this past summer (and even fall), I did more of my running indoors on the treadmill vs. outside because it was sooo hot here in Houston. I haven’t always been a fan of the “dreadmill” and have even struggled with it from time to time. But, once you overcome your fears, get some confidence and relax – the treadmill can be great! I did many of my training runs (mostly short interval sprints and hills) on the treadmill over the last few years whenever I was training for races. I really like the fact that you can run “hills” to improve your speed and endurance – even if you don’t have access to an actual hill! But, running on the treadmill wasn’t always easy for me. I would sometimes get disoriented because I was on a machine facing a wall or had at tv right in my face. Or, one time I was doing very fast sprint intervals at the gym where I worked as a trainer and literally flew right off the back! Luckily I wasn’t hurt but I was so embarrassed! But, I just got right back on it and pretended nothing happened (even though I’m sure everyone around me thought I was crazy!). That falling spell actually messed with my mind a little during my next few runs and I was nervous that I was going to trip. Luckily I didn’t, but I had to remind myself that “So what if I do?! It’s no big deal and you already know what to do.” Before I became “a runner” I was always worried people were judging my slow speed. That also prevented me from relaxing and being able to enjoy my run but also go faster and/or longer. Go slower than you think you need to go. This is especially true if you are not an experienced runner. Don’t worry what someone next to you is doing. Odds are they can’t see your speed anyway, nor do they care. “Running” can start at a slow 4.0mph or 4.5mph and you can keep it there as long as you need to! Maybe in a few days, weeks or months..slowly increase your speed or try intervals (see below). Try intervals. Don’t think you can hold the same pace for 20-30min and worried you will get bored? Play with your speed. Mix in walking intervals if you are new to running and faster sprint intervals if you are more experienced. Run on an incline. 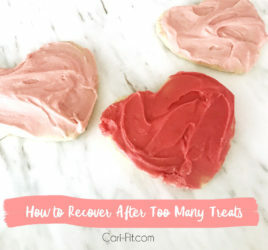 After my incident where I fell off the treadmill (see above), I found that running on a low incline or doing hill intervals made me feel like I was not going to fall off the treadmill. In a way I felt like I had more traction, even though I was on a little incline. I felt like my shoes were gripping the treadmill better and I had more control over my running. Find a machine with a good view. Don’t use one that faces a wall or has a tv right in your face. For me, this made me a little dizzy. If you like to watch tv and it works for you – great…but for many it gets in the way. Look for a machine with a lower/shorter tv, one without a tv or just turn the tv off and try to gaze off to the side when you run. Also, sometimes treadmills have “virtual” runs where it seems like you are running through a city or trail. Sometimes that will work for me if the scenery is realistic and not animated, etc. Don’t be afraid to jump off to the side. I know many running “studios” and popular classes discourage people from doing this – but I’ve been doing this for years. Sometimes if I just need a quick break or need to grab a sip of water, I will place both hands on the treadmill railing and jump (not crazy jump – just little hop) off to the side. If you are worried you may fall, you can attached the security strap. Check your shoes and clothes. Sometimes your shoes might be too slick for the treadmill surface. As a running store (or look online) for ones that are better for treadmills. Also, make sure your laces are double tied (to avoid tripping). Wearing the right clothes helps too. I usually prefer capri pants, a great running bra and tank. I often run in a cap too so that tiny hairs don’t get in my face and distract me. Above all – just know that you aren’t the only one that has struggled with treadmill confidence! It can happen to anyone – even trainers and “runners”. Just like a bike – if you fall off, get right back up and try again! Don’t give up!